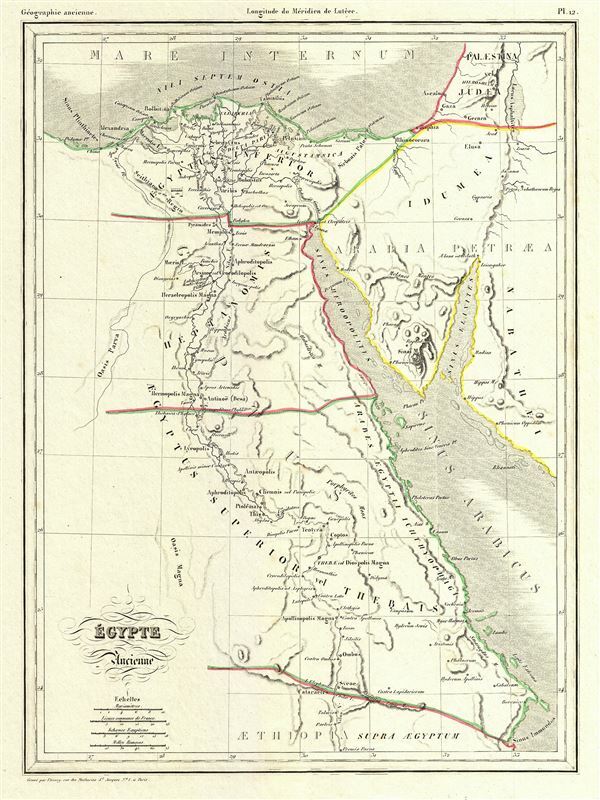 This is a beautiful 1837 copperplate lithograph map of Ancient Egypt, Nubia and Abyssina. These roughly corresponds to the modern day nations of Egypt, Sudan and Ethiopia. Includes the ancient nations of Upper Egypt, Lower Egypt, Heptanomis, Arabia, and Judea, and Petra. Topographical details abound. All text is in French or Latin.